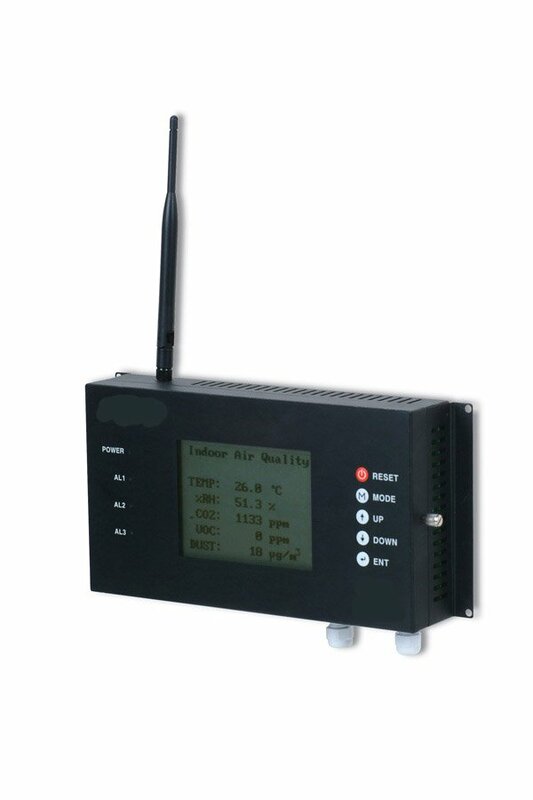 A high accuracy indoor air quality monitor, which measure VOC. CO2, Temperature, Humidity and dust. Through large size of graphic LCD, it provides real-time monitoring and can transmit data wirelessly through built in ZigBee. After install indoor Watch (software), it enable to collect data at a long distance. Relay Contact make it possible to interwork with a ventilating system. It has been installed to measure Air quality of indoor or underground spaces like Factories, schools, Public places etc. BUT SOFTWARE (FREE) WILL ONLY BE RELEASED IN MID 2015 DUE TO KOREAN GOVERNMENT HIGH TECH EXPORT RESTRICTION. Measurement of VOC, CO2, Dust, Temperature and humidity at the same time. Can reach max 1.2Km in case of non-obstacle.